Have you been dreaming about traveling to see new places on your "bucket list"? No more dreaming, this Hurricane provides convenience, comfort and six seatbelts as well as sleeping space for six. You can invite the grandkids or your RV friends to enjoy all the amenities where ever your go. Just imagine traveling down the road in captain's chairs that also swivel to provide more living room seating. The L-shaped expanding sofa bed allows you to view the TV and visit with the cook in the full kitchen. You can stock up on cold items and dry goods thanks to the residential refrigerator and the pantry. You even have the option to add a stackable washer and dryer to keep everything clean. 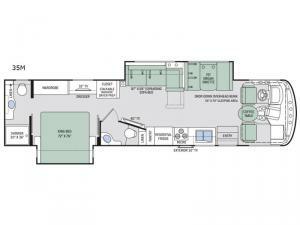 The rear full bathroom can be all yours while your guests use the half bath. 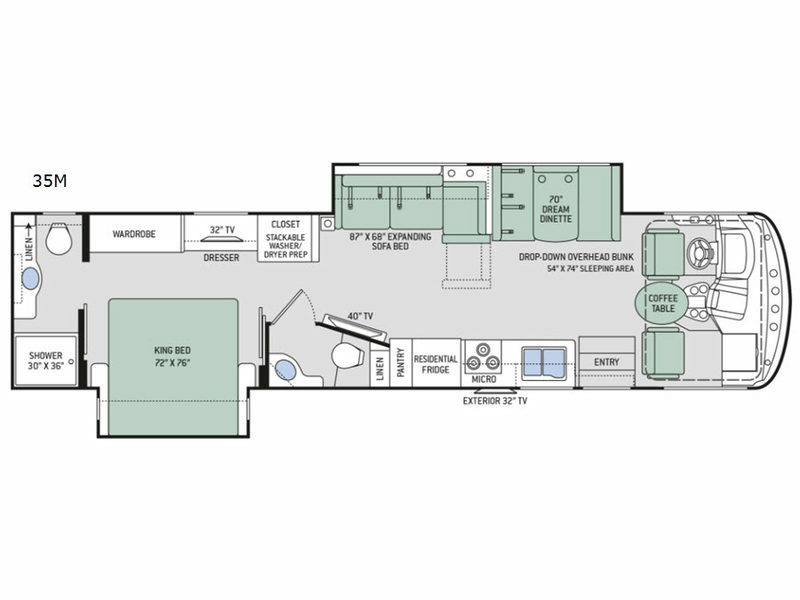 Come see how your traveling lifestyle will work perfectly in this coach.